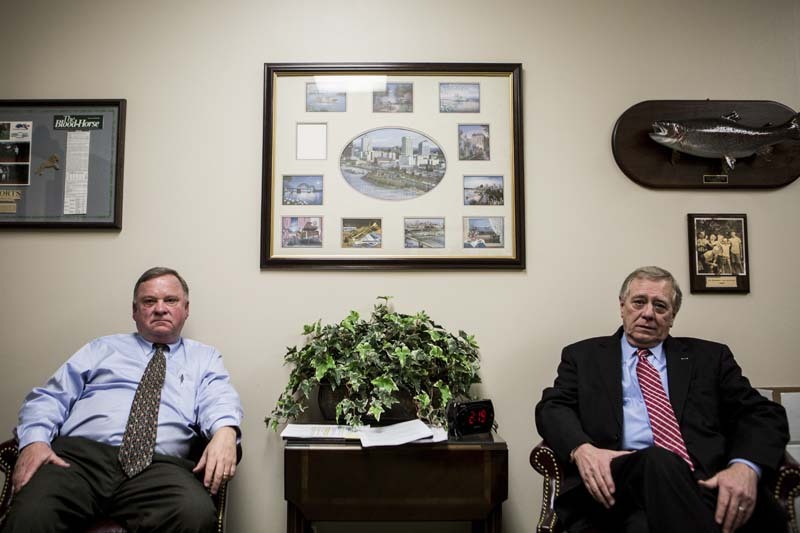 February 07, 2014 - Judge Bill Anderson, left, and Jerry Easter, court coordinator, in Judge Bill Anderson's office at Shelby County Criminal Court at 201 Poplar Ave in Memphis. Anderson and Easter are essential in the Veterans Court operations that started in July of 2012 to deal specifically with veterans going through the court system and needing help with many issues stemming from their time at war, especially with PTSD. "He was as determined as anyone I've seen since the start of this project," Judge Anderson said about Paul Oliver who was making his way through the veterans court when he died. "He was the first one we lost. He was so determined to put these issues behind him," Judge Anderson said. "Sometimes it doesn't work and we need to get them in sooner."